For as long as I can remember, I have always had a thing for truffles. Half of it must be their mystique and the other half – their incomparably subtle aroma and uniquely distinctive flavor. By definition, a truffle is a parasitic fungus that grows onto the roots of certain trees. They are fiendishly fussy about altitude, moisture, soil, foliage, wind and weather, and unless everything is as pedantically perfect as a banquet table at Buckingham Palace, they’ll refuse to grow. But to make matters trickier, even if they thrive, they are invisible to the human eye. So, for centuries, farmers in France and Italy enlisted the help of pigs to sniff them out of their subterranean hiding. But that’s not the worst of it. Turns out, pigs find them just as much of a delicacy as we do. And so after many a farmer lost many a finger trying to pry summer blacks or winter whites out of the throats of swine, they started training man’s best friend to do the work instead, with fewer casualties and more rewards. 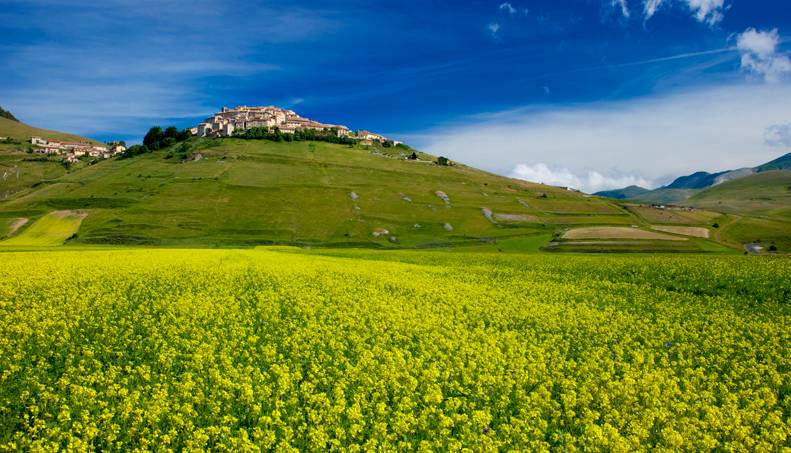 That brings us to Umbria – the Italian capital of black truffle farming. 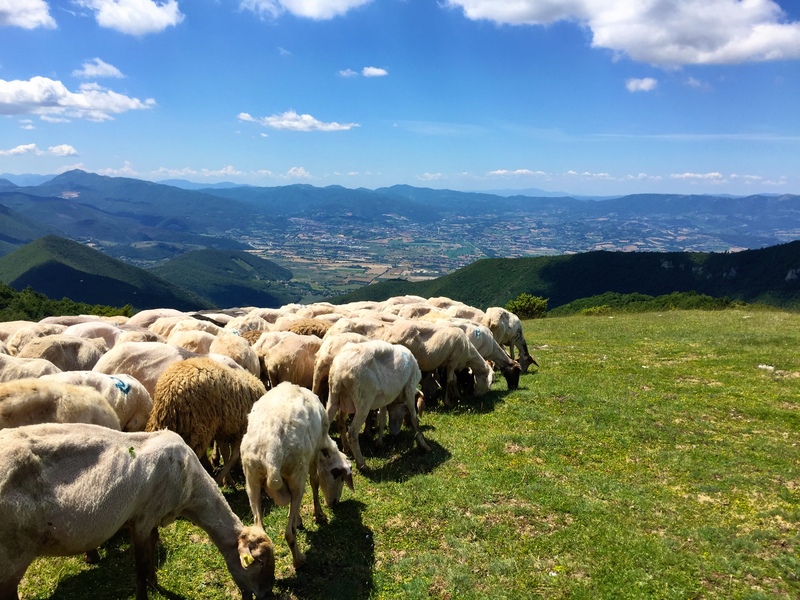 In many of the forests along the olive-grove hilltops somewhere between Montefalco and Norcia lies a charming industry just a couple of inches below the dirt, (not to be confused with the truffle oil industry, which not only sells artificially flavored ersatz truffle infusions, but one that is also systematically wiping these farmers off the map). Outside the tiny hamlet of Pettino, Mac, a farmer from the south island of New Zealand (I know, not exactly what one would expect in these parts), and his Umbrian wife Francesca welcomed us onto their 700 year old family farm – and when I say family, I mean the entire la famiglia (in-laws and outlaws) to spend the day finding, cooking, eating, enjoying and celebrating truffles. The first thing you notice as Mac releases the dogs from a cage on the back of his truck, is that while they might look like very ordinary farm dogs, they are trained to sniff, dig and retrieve the “black gold” from the forest floor in exchange for tiny treats. 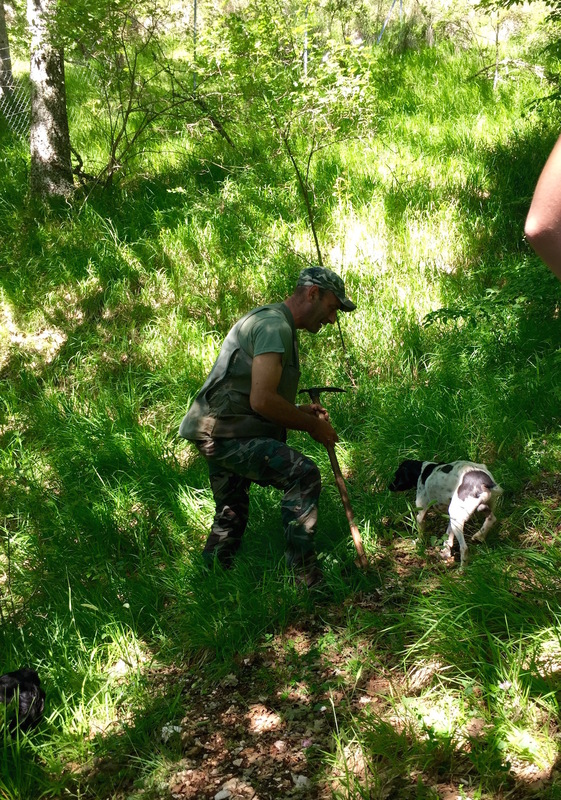 Mac had barely enough time to explain how important it is to keep these working dogs separated from regular domesticated pets for fear of them “becoming lazy” and loosing their hard-learned skills, when the first truffles are already discovered. For the next hour or so, the process repeated itself over and over. Run, run, sniff, sniff, dig, dig, arf, arf, wag, wag, chomp, chomp, bene, bene! 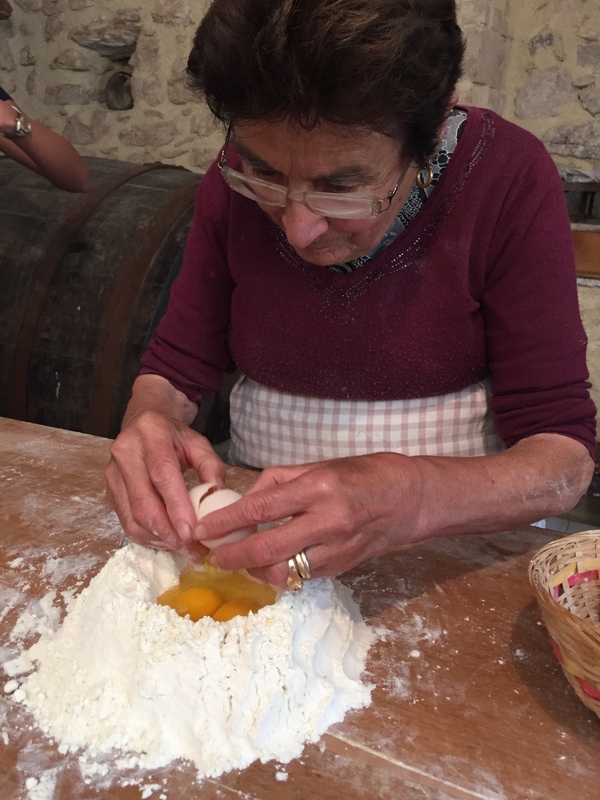 Meanwhile back at the farm, Nonna (Mac’s round-shouldered, smudge-bespectacled, hands-on-hips mother-in-law) stood hunched over a mound of flour and a few fresh eggs in the stone kitchen. 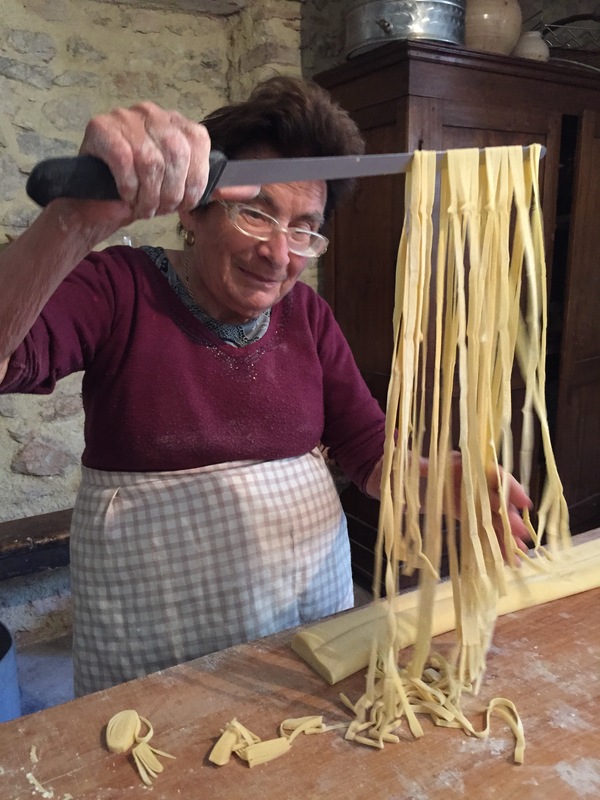 With nothing but years of practice, her bare hands and a long rolling pin, she transformed these two ingredients into heavenly ribbons of tortellini right before our eyes. Francesca put the final touches on our lunch: her New Year’s Eve signature, red wine-infused Truffle Frittata; a deliciously tender Braised Guinea Fowl flavored with local tomatoes, sweet prunes and fresh herbs; a sublime Truffle Pesto to accompany the tortellini; a garden salad with home-fermented red wine vinegar; Garden Peach Tarts bursting with juice and begging for a scoop of gelato. 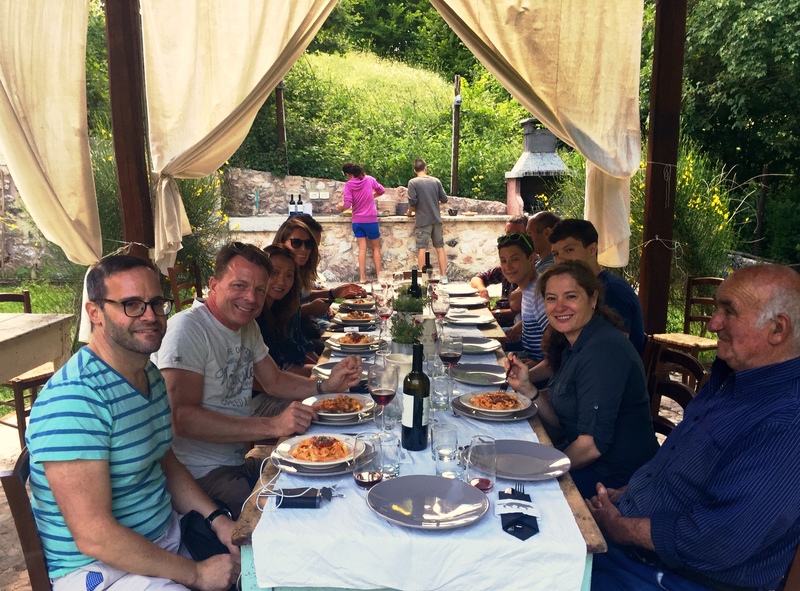 Then in a series of trips down to the long, wooden table under a shady pergola, we all sat down to an unforgettable lunch – farmers, dogs, hunters, tourists, cooks…and every member of la famiglia! Buckingham Palace, take note! 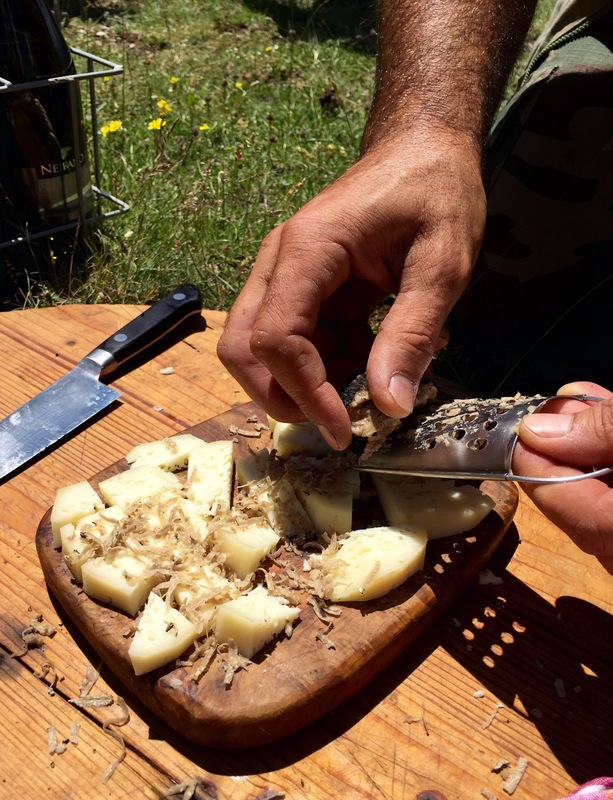 Your truffle hunting adventure looks absolutely amazing! The descriptions of the food had my mouth watering. What a wonderful way to spend the day! 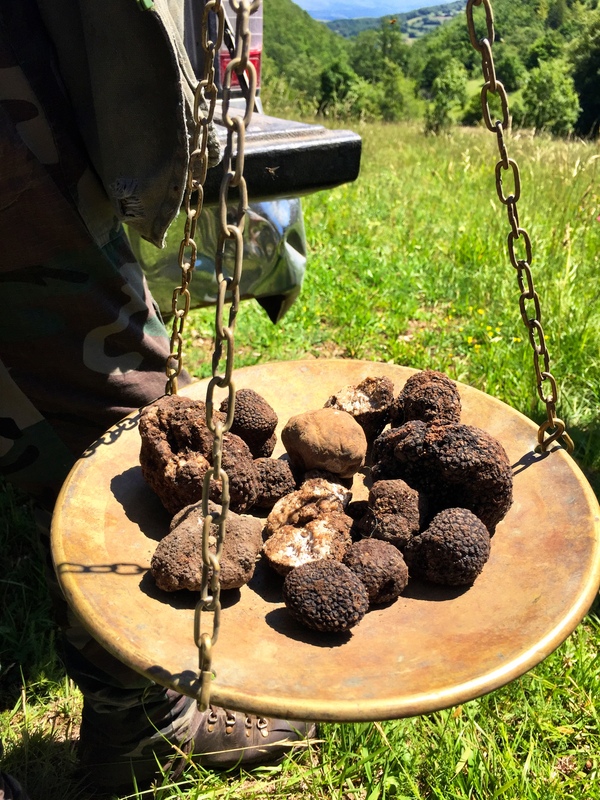 Recently they have discovered the dark winter truffles growing in South Africa, this has caused a flurry of excitement as you can imagine! 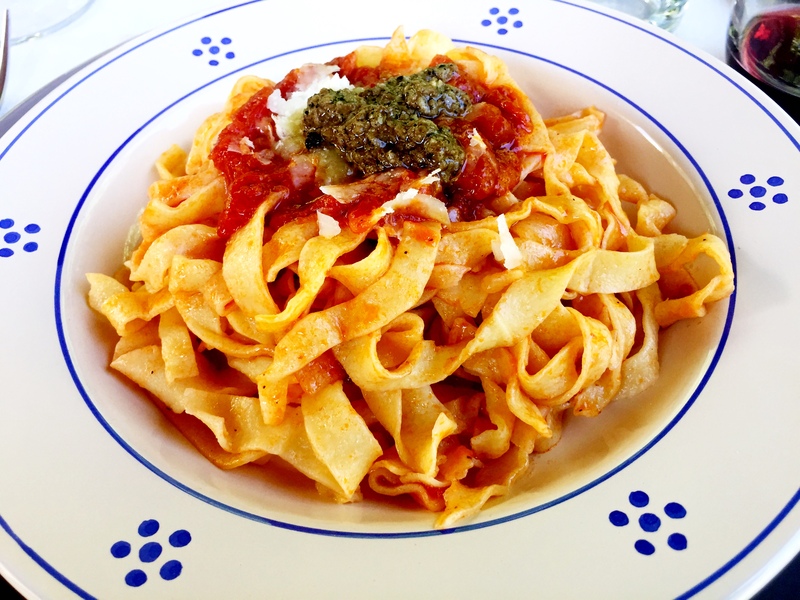 Oh I need to do this next time I visit Umbria. Love truffles!